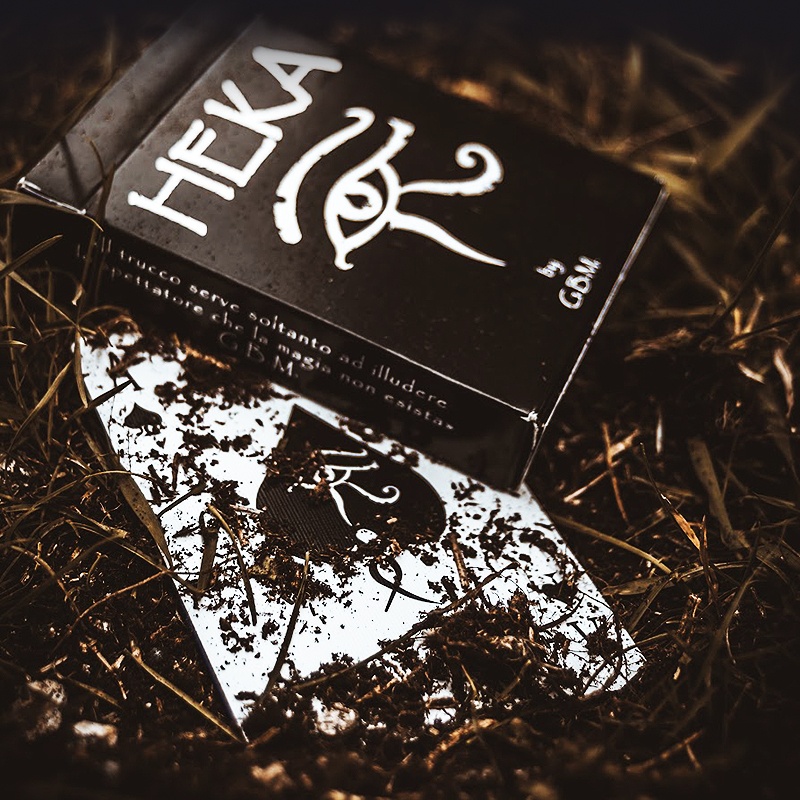 Heka is one of the most important divinity in the ancient Egypt and represents magic and medicine: so, basically, it represents science. Generally the word "Heka" suggested magic in the land of the pharaohs, and moreover, the God Heka were represented by ancient Egyptians with the symbol of two arms crossed by a flow of energy. In 1824 the collector Henry Westcar, during one of his travel in the ancient Egypt, bought a papyrus that was very special and important and... "to be continued" in the PDF supplied with the deck. In fact, this amazing deck of cards is enriched by a detailed and interesting PDF that will allow you not only to understand the fantastic system marking system of the deck, but also to discover all the secrets hidden in this amazing deck, which exudes Egypt and mystery! • The cards are poker size. • Printed by the United States Playing Card Company. • The deck is marked with a nice system explained in a PDF.